Ally Bank offers competitive rates on auto loans and 24/7 live customer care. Ally Bank has limited physical locations thus most of its activities are done online. 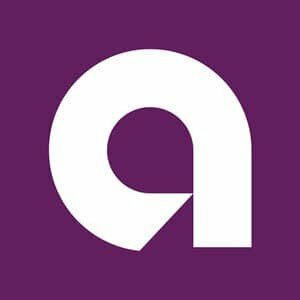 Ally Bank allows one to move funds from one bank account to another. Most common services and transactions such as monthly maintenance fees, receiving copies of statement online, unlimited deposits, official/cashier checks are free at the bank. Its loans can be applied online. You are able to manage all the loan related documents from any device. It’s quick, convenient and secure. Car loans have a 72 month fixed rate of 3.31% annual percentage rate (APR). The rates vary depending on whether the car is used or new. For lowest rates, the refinance auto loan is a good option for you. You are able to save a couple of dollars per year with the refinance option. Another option of getting a vehicle is through leasing. Ally Smart lease has shortened financing terms thus you are able to get a new vehicle more often. Once the agreed period is over you are required to return the car with the same initial rates. Whether the car has depreciated or not, the rates are fixed. Our review finds this to be an amazing financial feature. Ally Bank provides different saving options and enables you to achieve your saving goal after you have identifying it. This is accomplished through opening an account for a trust and naming the account depending on your saving goal. This enables you to focus on the goal and accomplish it. Ally bank also encourages customers to save for future investments. Application for loans is done online, in person or over the telephone. You are required to create an account and submit your social security number including your employment and income. Part of the application requires that a credit check is made which eventually may affect your credit score. Repayment is mainly done on a monthly basis through having a bank account where the money is deducted from. At Ally Bank, the customer is able to talk to a real person 24/7 and enjoy the convenience. The representatives are kind and offer great customer support. Ally Bank offers financial products such as certificates of deposit, online savings accounts, interest checking accounts, money market accounts, mortgages, credit cards and auto loans.